Today we will talk about Lucratunity, another extremely useful business service. It is a service that can really help businesses in achieving best results, or even kick start your business if you are still at beginning. Lucratunity will offer you opportunity for getting investments, finding partners and networking. On top of that if you are interested in making profit through investment, you can do that if you like some of the companies presented on the website. First of all we must inform you that multiple experienced professionals work for the service and are here to help you. It doesn’t matter if you are just starting or you are in the business for years, Lucratunity offers assistance and services for all type of business. All you need to do is to sign up and select a business plan, or you can get custom business plan build for you. Business can take advantage of the outstanding Lucratunity’s Venture Chart. It will offer information about the complexity of the ventures. With the venture chart users with any capital can start businesses. Members will see the ventures available and they can choose something within their budget. They can even advance from smaller to larger ventures. Ok you want to find companies to collaborate but you can’t find the right one? With the Lucratunity networking page you will have amazing opportunities. You will be able to see all businesses in the Lucratunity’s networking page and communicate with them. You can establish meaningful business relations, find customers or investors and simply take advantage of the networking. This is crucially important if you had just started with your business. If you happen to like some venture or company you can also invest in any company that you find on the invest page on the website. On the other hand Lucratunity will advertise your company to potential investors and thus it will increase your opportunities and lead you to profit. All you need to is to register here. You’ll need to fulfill all info with detail and select the type of membership. After that any other user of the website will have clear view of your contact and company details. In that way potential partners and investors could see what your company is really about and decide whether they want to collaborate or work with you. Lucratunity is a great service to kick start and boost your business. It is perfect for business owners that have just started their business, but also it can be great service for owners that have on going business and want to improve. On top of that you can find all diferent companies to invest, and you will have the opportunity your profile to be shown to other investors. So, Lucratunity offers you opportunities for success. You can only benefit from it and that is why we clearly think that every business should try it! Check the video bellow for additional explanation of their services. We here at hightechholic always try to present great and high quality software solutions. So, far we have reviewed over 100 software products, but none of them is anywhere near to the outstanding solution that we are going to review today and that is the Load Volume Scanner from LoadScan. LoadScan are the industry leaders in volumetric payload measurement and technology. Basically it is a hardware and software product that is used in the volumetric measurement of bulk materials. Think about it, having this kind of software and hardware in your mine, construction or oil site, or any other type of industry could mean a lot. The volumetric measurement this software offers is absolutely stunning. The great thing about the Load Volume Scanner is the fact that it works so fast and so smoothly, integrating flawlessly with many existing systems. It doesn’t come into contact with the materials it measures. The dimensions that it can measure are 130 m3/170 yd3 per truck/trailer bin. Additionally it offers automatic vehicle identification, ticket printing and it keeps records of each vehicle. The precise and fast measurements are the most valuable features of this product. One of the most important features of the Load Volume Scanner is that you can manage it with remote access. The Load Volume Scanner comes with LoadScan OverView, a software that is used for reporting and analysis of the data provided by the scanner. In this load management software you will be able to manage all measurements, edit them, organize them, sort them and fit them to your specific business requirements. Any data in LoadScan OverView can be fully synchronized with Excel. The Load Volume Scanner is a great tool for any company looking for a competitive technological edge. It is easy to setup and use, it offers a wide variety of features, you can control it remotely and it comes with great software that can also help you to manage your stockpiles. After using it, I believe that it is a product that will become an industry standard in the future. I have no doubt that it will continue to garner widespread praise and commercial success. The Load Volume Scanner is a product of efficiency, expertise and refined development. Cloud Crawler is a new iOS game that recently caught our attention with its simplicity, but yet great challenging gameplay. The goal of the game is simple. All you need to do is to jump on the clouds that and maintain the drawn man alive. In order to do so, you’ll need to time your taps and try to go as far as you can. You will need skill and good timing if you want to make great points. If you miss, you will fall off and die. The line of the clouds can change so you will need to react. This is one of those game that give you positive excitement and don’t frustrate you. The game has neat, creative graphics and cool hand drawn backgrounds and objects. The sound effects are also nice and interesting. Cloud Crawler is a nice game to have to chill and relax on your spare time. It is available for almost any iOS device because it only requires iOS 6.0 or later. Get this creative and lovely game for free on the App Store. Hightechholic has used advertising networks for both monetization and promotion. In the last few months we used several advertising networks for promotion of our website and getting quality and target traffic. We have seen some bad traffic, but we have also seen some useful and targeted traffic. One of our favorite advertising networks is Ads1K. They cared for us, offered us great service and we will continue to use it. So, we decided to present their services, so other website can see if they are worthy for their try. Signing up is simple. Go to ads1k.com and sign up as an advertiser. After the email confirmation you can start using their ads. First you need to deposit the money that you plan to spend. Then you will get several options for best possible promotion of your website or service. First of all they assure quality traffic. All publishers are tested and they have proxy & bot traffic blockers. Because of the good and fast payouts, I think that they have quality publisher networks. I concluded that because the traffic coming from my campaigns. When talking about the campaigns, there are great targeting options. You can target your campaigns according to language, geographic, devices etc. Also you can pause/resume campaigns whenever you want, you can block IP addresses and limit users to from same IP to see your ads repeatedly. Additionally, you can change the maximal bid and withdraw your money that are left in your account. The support team is great. They are here for any problems and they can also suggest different options. Also their advertising campaign reports are amazing. The general report shows great amount of information and you will also get keyword/channel report, geographic report, site report and have access to see your payment history. At the end of the day Ads1K is great way to get some additional targeted traffic on your website. Advertisers could use to get more traffic, sales and increase their rankings, while publishers could earn more. Any blogger or website owner wants to monetize his content in best possible way. Google Adsense and Yahoo Ads are maybe the most popular ad networks, but they are slowly declining. Not only that you can easily get banned from those networks, but also the CPC has significantly dropped, which is maybe due to Facebook advertising. So, new, targeted and reliable ad networks are always welcomed by bloggers. Thus, from recently, we started using CPX24. It is a new promising advertising network that can assure you quality traffic at a really affordable price. We are currently using it as advertisers. We must say that we are extremely satisfied by the service we are getting and the traffic quality, so we decided to do review and to present its services. All you need to do is to register on CPX24 Advertising Network website. After that, no matter which category you select (publisher or advertiser) you will get your own dashboard. From that dashboard you can easily manage everything. The publishers can get banner and set up them extremely fast and easy. Then they can follow the statistic on the dashboard which is neatly organized. You can earn through hits and referral hits. You can add as many websites as you want. All you need to do is to get the code and put it on your website. There are popups and other promotional tools that will assure more clicks on your website. The minimum payment amount is only $0.50 and there is high PPC, when compared to other ad networks. On the other hand, the advertisers can easily create campaigns. For example we have created a campaign for USA and Canada visitors. You can set the campaign name, landing URL, hits, bids per hit, daily budget, hourly budget, frequency, operating systems, browsers and countries. We had great success so far, as the traffic is targeted. The bounce rate from those visitors is bellow 40, which is great, we didn’t hoped for that. That only proves the quality of this network. On top of that their customer support is highly responsive and returns immediately to any inquires. CPX24 is definitely a reliable and well-worthy ad network. It can enable you to earn money as a publisher, and it can bring you quality traffic as an advertiser. It is easy to set up and use. There are neatly design popups and promotional tools and only $0.50 payout minimum. Try it, no matter if you are a publisher or advertiser, because it can only bring you benefits. What’s the highest prime number you can think of? According to some mathematicians, it’s 2 to the power of 57,885,161. It’s a number that has over 17 million digits, and while most of us can’t think past number like 113 or so as being the highest, challenge yourself to see how high you can get in a new game called Triple Prime. Ok, so this game is not meant for mathematicians, but rather, those who love a good tile sliding game and can match. You don’t even have to know what a prime number is, because the game takes care of that for you. 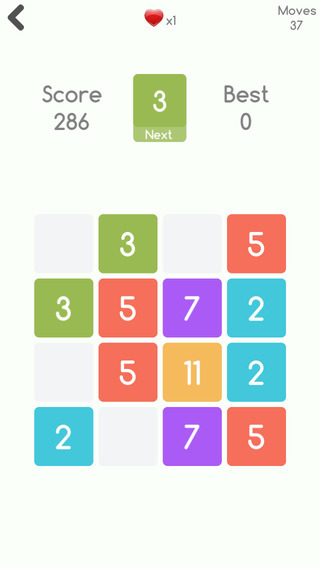 All you have to do is match up tiles and group them together by sliding them across the gameboard. You do this by swiping up, down, left or right. But beware, each swipe will move all tiles the farthest they can go in whatever direction you are swiping. This may mean they go all the way to the edge, or just one block over. It depends on how many empty spots are on its path when you swipe. If there is only one empty spot to move into, then it will move only one space over. You’ll see what I mean when you play. The only in-app purchase you can make at the very beginning is the ability to turn off ads, which will set you back a whopping $.99. The highlight of the icons that lie at the bottom of the main screen is the tutorial. The app’s website page does not give much in terms of what you are aiming for or how to play, so this tutorial is the perfect way to see what you are expected to do, how to group tiles and then collapse them into one. After you have started a game, and you come back into the app, you have the choice to resume the previous game or start a new one. What is perplexing to me is the single tile that sits at the top center of the gameplay screen. It seems to show the highest prime number that is currently on your game board, but it also has, in very small font, the work NEXT at the bottom of the tile. I am not sure what this is for, and it can be confusing because you start thinking it’s a number you are now aiming for. Not really sure, and I wish there was an explanation for it. Otherwise, this is a pretty fun game. It took a few rounds of play involving lots of blockouts where I filled my game board and was unable to move any tile, and was still stuck at ‘5’. Kind of pathetic, but when I put more forethought into my moves, things started to go more in my favor. Give Triple Prime a try! Hightechholic.com always appreciates amazing services. That is why we will present you the new website Psychd. This outstanding website contains various personality tests that will help you to “Discover Your Self”. Designed in totally beautiful and stylish manner, Psychd contains, at least for now, 3 types of tests. I did all of them and I must say that they are really accurate and surprisingly well designed. All you need to do is to go to Psychd, login with your Facebook profile (it won’t post anything on your profile or news feed) and that is it. 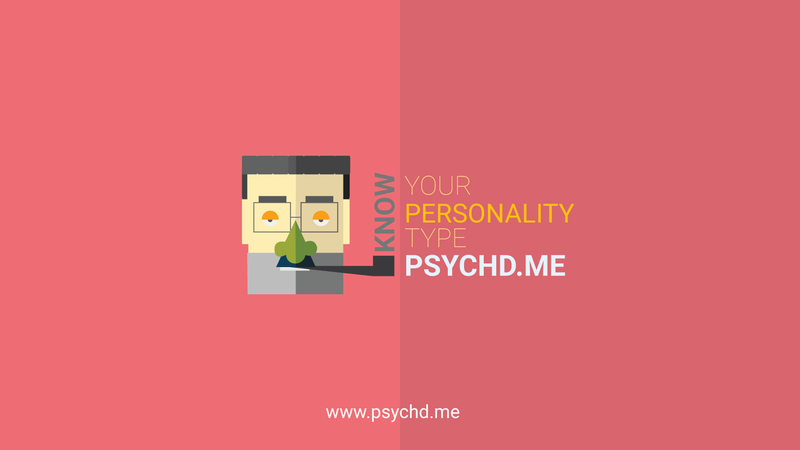 Then, Psychd will create profile and dashboard for you. You can do various things from your dashboard. But, logically, the first thing you will do is doing some of the tests available. What type of tests you can do? First of all you can do personality test. In around 10-20 minutes you will be asked for several questions about what is your opinion and how would you act in certain situations. The questions can be both personal and business related. They are nothing complicated and they are well thought. After you complete them, you will get your type of personality. I got ESTP (Extroverted, Sensing, Thinking, Perceiving), which is totally accurate. Besides that, you will get information about which popular people have that type of personality, you will get advantages and disadvantages of your personality etc. You can also do the mental fitness test which measures 20 different dimensions of your character. You can use it to determine how mentally strong you are. Adaptability, Achievement Motivation, Boldness, Competitiveness, Excitement, General Ability, Guilt Proneness, Imagination, Innovation, Leadership, Maturity, Self-Control are some of the dimensions included in this test. After determining your mental fitness you can see where you can improve and use information to become stronger and decrease your weaknesses. On top of that you can do Family Environment test which is actually a group test about your family type. The social and environmental characteristics of one family can be measured here. It also shows accurate results and it can show you where your family stands in the terms of social life and your environment. The last test you can do, at least for now, is the Five Traits test in which you will get questions that will determine the levels of Openness, Neuroticism, Conscientiousness, Agreeableness, Extraversion. It will show you what this parameters mean and to who of them you are more prone to. This can also show you what you need to improve in your personality. You can easily share these tests with any of your friends and family. You can see what results they got and talk about them. You can also do these test with your family, partner or kids. They can be great topic to discuss about. Additionally, from the dashboard there is a meet new people feature. There you can easily add certain people on Facebook or send them a message. The cool thing is that they are divided according to their personality type. One of the creators of Psychd assured me that there will be new tests in near future. This is truly an amazing website, try it for free and determine what type of person you are. 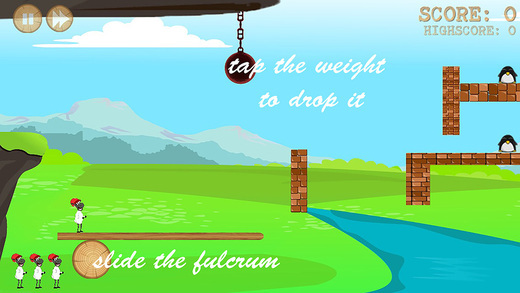 ChuckTheShip is an iOS game that got quickly popular in paid games rankings on the App Store. It is a fun, addicting, smooth and challenging iPhone and iPad game that will get under your skin really fast. It is colorful and dynamic gaming experience that is packed in amazing design, tastefully-colorful HD graphics and interesting physics game play. The story line is simple. You must lead Chuck the Ship into his entertaining adventure. The animation is simply astonishing. 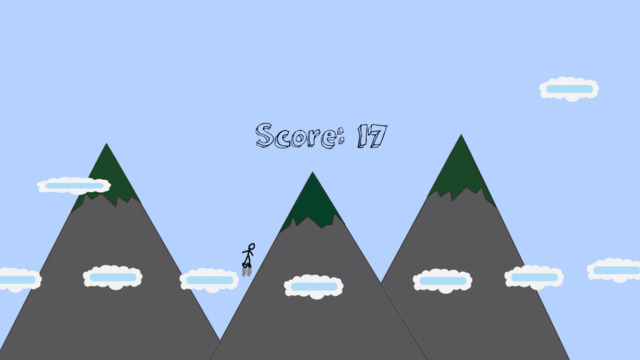 You need to avoid all obstacles and enemies, try not to fall from the platforms and get pass through the levels with the most points as possible. The sounds effects are really unique, they are making the game complete. In order to move the ship you need to tap the weight in order to drop it on the stick, then you can control the movement of the ship. Try to complete all the stars when you pass through the levels. If you want to compare your high scores and get extra motivation check the leaderboard as ChuckTheSheep is integrated with the Game Center. ChuckTheShip is compelling, smooth and really entertaining game. It is a game for all ages and it can be a great game for passing time and relaxing. Get it on the App Store. Montesano, WA. 16.06.2015 From C & R Ltd.there comes a new communication app called Surf-n-Squawk Video Phone/No Chat room. It is one of the simplest, yet most functional new video call apps that you can find on the Google Play and Amazon app market. Made available only a few days ago, Video phone/no chat room will offer you hours of video talk with your family, friends or colleagues. “ We wanted people to have a video phone that was actually a video phone and that everyone could afford. We would like to see friends and family stay in touch the way they were meant to stay in touch. Besides, "seeing is just better!" Unlike the other video call apps, Surf-n-Squawk video phone/no chat room will enable you unlimited video calls for a small monthly fee. There are no messages or annoying and complicated settings. Just talk and enjoy. You can use it to hold live presentations, big screen public announcements, talk with your family, celebrate a birthday and even work with your colleagues. The great thing is that you can add up to 8 people and make group talk. We have all been in situations where we deleted certain files that we didn’t want to be deleted. In such situations you will definitely need data recovery software that really works. We decided to do review of Do Your Data, because it promises to be one of the most reliable data recovery software. We tried the full version and we will describe our experience with it. After you download it and install it you can start using it in few simple steps. In the first step you will be able to select if you want to recover photos/graphics, music/audio, documents, videos, email, or any other type of files. Selecting one particular type of recovery will make the recovery to be faster. However, you can select all types of recovery and do a little more thorough search. After you select your recovery type, Do Your Data will search for deleted files. In our case it found 95% of our deleted files instantly. If you don’t find the file that you are looking for you can do deep scan. So, we did a deep scan and we waited little longer, but Do Your Data Recovery found all of our deleted files and we had 100% success. Every file has preview on the right side. If you chose to recover it, all you have to do is to select it and click on the recover button in the right bottom corner. That is it. You will recover all of your lost data. At the end of the day Do Your Data Recovery offered us amazing user experience. It is easy to use, fast, we had 100% success and we recovered all of the files we needed. It is a simple, fast, light, reliable and highly functional data recovery software. It is totally functional with Windows 8, 8.1, Mac and iPhone. InCommon app, is the new social media app, which connects people who share the same interests. The app is free to use and easy to set up. A recent user tells us about the benefits of using the InCommon app whilst travelling. "I had recently gone on a trip to Amsterdam with 3 friends. During the course of the holiday I was deserted and didn't know anyone in the area I was staying. Thankfully, I received 5 matches on InCommon and I met up with one person whom I had 4 interests in common with. I ended up visiting museums and also going clubbing with my new friend. If it weren’t for InCommon, it would have been the worst holiday ever. I was quite surprised that it also worked so well abroad as I'm from London"
InCommon app makes it easier to connect with others and build a network of new friends. The app is now available to download in the App Store https://itunes.apple.com/us/app/incommon/id922333855?ls=1&mt=8 and on Google Play https://play.google.com/store/apps/details?id=com.attribes.incommon. Daihinia is a tool for WiFi. It turns a simple Ad-Hoc network into a Multi-hop Ad-Hoc network. Multi-hop Ad-Hoc networks offer a higher level of flexibility than the usual Infrastructure Mode: in Infrastructure Mode all the computers have to be in the range of the Access Point, while in Multi-hop Ad-Hoc networks they have to be within one another's range, possibly forming chains longer than one hop. Basically, Daihinia offers a Mesh Network layer for WiFi Ad-Hoc (IBSS) networks, making the network infrastructure be implicitly maintained by the users themselves. It's a nice idea that a network user supports the network around him/her just by the fact that he/she uses the network. Unlike other solutions that allow mesh topology only between Access Points, Daihinia uses IBSS Mode and adds mesh functionality directly to computers, and does not use Access Points at all. Daihinia is implemented as an intermediate network driver for Windows systems and is completely transparent for programs. Daihinia is a perfect solution for home and small office networks: wireless computers will use each other to establish a path to the computer that shares its wired internet connection to the wireless mesh network. Daihinia reduces the risk of being hacked wirelessly because you can enable it only when you are using it, not permanently like with an Access Point. Daihinia is a must-have for any user with a laptop. Based on the network name (SSID), Daihinia driver only enables itself for networks that are prefixed "Daihinia" in their names, and does not interfere when connected to the usual (infrastructure-mode and non-multihop ad-hoc) networks. Daihinia is better than any SoftAP solution because the resulting network scales easier and automatically, and the traffic between client computers goes directly, without traveling to the AP and back. Daihinia's unique routing algorithm has an overhead of less than 1.5% (hardware-based mesh solutions can eat as high as 10%). Daihinia has the advantage of working on all adapters capable of Ad-Hoc mode (the majority of the adapters currently on the market), not only on a small "softmac" subset as other mesh solutions are requiring. Daihinia works down at the ethernet level, presenting all stations in the Daihinia network as being in the same ethernet segment. By doing so, it is compatible with many protocols and is not limited to IP. Terry Brival is a R&B, Soul, Hip Hop, Tropical and Gospel singer from France. He is one of the most popular French singers on the Caribbean, so as any popular artist he has his own app. Created for the Android platform, Terry Brival is one of the best music & audio app I have ever reviewed. It is much better than many of the apps of world-wide known American pop stars. Smartly organized and beautiful are the first things that came to my mind while testing it. Intranet sites are a great way to organize one company. Millions of companies use intranet worldwide for better communication, organization, task-management and productivity. There are various companies that offer reliable intranet services, from which Microsoft SharePoint is the most popular, but only few of them offer great features, amazingly responsive support and affordable prices. One of the rare companies that offer such outstanding intranet services for really affordable prices and with amazing customer support is Noodle. Bellow we will explain why this intranet software is one of the best on the market. Trying Noodle service is easy. There is a 30-day free trial to see if this intranet software will really work for you and your business or organization. We will try to explain the features one by one. These feature can enable you lot of benefits and advantages. First of all you can easily create, or your employees can create themselves, employee profile pages. This employee profile pages serves as a presentation page of any employer. Through it you can share and collaborate with any of them. The activity feed works as intranet social network. Everything that has ever been created in the intranet can be viewed there. Content, type, location, author and many more parameters can be viewed and arranged here by any user. The employee directory will show all people that are registered in the Noodle intranet. From there any user can send an email or tag their co-worker. Logically, there is an instant messenger application. This is a secure way to communicate with any of the employees. Anybody can send photos or videos within the messenger. There is an ability to see and create your own personal home pages, which for example will enable you to create portal pages about different departments. Then, you will also have the possibility to see what’s new in that department, so only relevant content will be shown to you. On top of that you can create as many shared documents and folders as you want. The Calendar app can be also a handy tool in one company. You can use Noodle’s Calendar to create any type of company event. You can use it for both, personal and shared events. The Database forms is also a very handy feature. The creators of Noodle say that it is one of the most used apps on Noodle. With it, you can create contact databases, surveys, vacation requests etc. Noodle has one of the best task manager applications. It will enable you to give task to anyone, arrange them and customize them in various ways. You can also follow the progress and assigned user and thus manage the workflow of your business. The Intranet pages that can be created with the Page application can be used by Noodle users to create interactive content. On this pages you can embed any type of mutli-media, including images, videos, presentations, links etc. Some of the other useful features of Noodle are the possibility to create photo albums, blogs and forum discussion within your intranet, or even held a conference meeting with your team. We have tested Noodle Intranet Software with 4 users and never had any problems. All features mentioned before work flawlessly. Everything can be controlled from the dashboard. The dashboard is neatly organized and you can arrange it according to your own needs and taste. The prices are also very affordable when compared to the competition. On the other hand there are great amount of features from which your company can only benefit. This is a high quality intranet software company that is in the business for over 10 years now, be sure to check why they are one of the best in this niche and why they are used by popular companies across the globe. 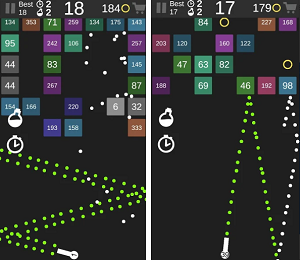 Bubble Shift Mania is an iOS puzzle game that got us addicted very fast. To be more specific it is one of those dynamic fun games that you simply enjoy while playing. It looks colorful and it is interestingly challenging because it features various game modes, has additive game play and the perfect sound effects that will make the game more enjoyable. The game is created by Ablue2K, developer that has already created several successful games. This puzzle matching game has simple goal. You have to match two or more bubble from the same color to remove them. You have to clear the board in order to advance to the next level. Logically, the more bubbles you clear in a single move, the higher your score. To make things even more interesting, the developers created 5 game modes, which makes the game broader and much more challenging. On top of that Bubble Shift Mania is integrated with the Game Center, so you will have additional challenges in terms of ranking on the leaderboard. Bubble Shift Mania is one of those games that you will like, that will challenge you and that you will enjoy while playing. You can play them in your free time when you want to have fun and relax. It is such a great, beautiful and interesting game. Get it for free on the App Store. We at hightechholic always appreciate and respect functionality and simplicity. We recently used such service so we decided to present it. The service is called PartyLabz and it will enable you to organize your events in an easy and simple way. With simple words, PartyLabz provides users a way to plan a party/event. User enters event name and create it. Then user enter event detailed information, create sort of gift registry (optional) and forms guests list. Finally, user sends email invitations to guests. Event host and other guests can see RSVPs, and who brings gifts. Quite simple you must admit. In just a few steps you will get your desired guests with relevant information about your lets say party. Additionally, you will also be informed of who is coming and who is not. PartyLabz will keep your parties on the website. The website doesn’t require registration, just your email, so you will create your events in no time. You can easily access your parties later with just the email you used. On the other side, the invited can view who is coming and who is not, send messages to the host, read or post comments. The hosts can do the same, but also change the location of the party, invite new guests and monitor their guests’ RSVP. This is indeed a great free service. It is neat, designed brilliantly, it offers great features and it is free to use. We can surely recommend it to organize your next birthday party or any type of event. Period & Ovulation Tracker is a new iOS app that will enable you simple, but yet extremely accurate, information regarding your menstrual cycle and ovulation period. All you have to do is to enter your data and the app will do its thing. You need to mark the beginning and the end date of your period and the duration. On top of that the app gives you information to add notes about the flow, spotting, common PMS symptoms etc. This will be great information to have for future periods. Nevertheless, after you do that Period & Ovulation Tracker will calculate and predict future periods. The app will additionally send you notifications, just to keep you informed. It will serve you as a period diary. We also got to inform you that the app calculates the ovulation date based on the Body Basal Temperature, cervical mucuc, ovulation symptoms, saliva ferning and ovulation prediction kit test data. That is why we are sure that you won’t find more precise app than this one. You will also get information about your most fertile days i.e the days when the chances for conceiving are the highest. Another feature we liked is that it will calculate the chances of conceiving a boy or a girl based on the scientific methods like Shettles and the Whelan method. It will also remind you when to make pregnancy test. So, at the end of the day, it is easy to conclude that having this app on your iOS device can be really useful. It can be useful for any woman that wants to get pregnant, or wants to avoid pregnancy. It contains tons of useful information, possibility to create diary, and it displays accurate and relevant information. The app is completely free and you can get it on the App Store. Many times we ended up losing more time for searching a movie, instead of actually finding one and watching one. In order to save you time and present you great movie recommendations according to your taste today we will present you an iOS app that will spare you from such time wasting situations. The app is called Scarab and it is a movie recommendations app that will show you movies according to your taste and preferences. The app contains tons of movie, you can search for movies that you love and like them. As your continue to browse and search around the app will learn your preferences and show you only movies you will probably like. Any movie suggestion that you like you can add to your own watch list. Additionally you can eliminate movie suggestions that you simply don’t like. It is a nice app to have on the movie night or when you want to find a move to watch. After using it for the last week we can easily confirm that this app is great. It shows relevant searches, it is handy, fast and easy to use. Get it for free on the App Store and never end up with movies you don’t like. Finding good, relevant and unique content is a hard thing to do nowadays. So, we decided to present you a website and an Android app that can entertain you on daily basis. We will present Movie TV Tech Geeks News, which is a well-known entertainment site. Recently they published an Android app that caught our attention. On top of that they got extreme popularity due to the release of the story about Chris Jenner transformation. That only proofs of their popularity and quality content. The website always shows content in unique way and you will definitely love their work. The app is an easy portal to the site, the 5.4 million viewed YouTube Channel, Twitter & Facebook. It is fast, neatly organized and a great addition to their brand. You can use it for better viewing of their content on Android devices. Using it for the last few days, we can easily confirm that this site shows amazing content, not only in the Entertainment category, but also in Sports. The site is well known by ESPN for their sports coverage in nearly all worldwide sports, along with movie news, tv news, technology and celebrity gossip. So, if you want relevant news stories about various topics visit Movie TV Tech Geeks News website or get their new free Android app which shows relevant content 24/7. It is perfectly optimized for different phone sizes and tablets. You will definitely be informed and entertained. 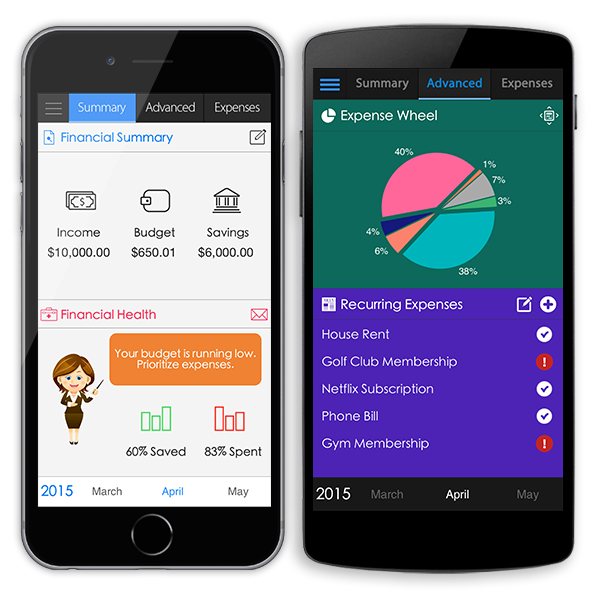 Expense Tracker 2.0 is one of the best free apps in the Finance category on the App Store and on the Business Category on Google Play. This comprehensive, feature-rich and extremely helpful cross-platform app will help you to keep track of your expenses, earnings and savings and thus help you save money and maintain a great financial health. Many iOS review websites have already named it as the best expense tracker app on the App Store and Google Play, lets see why. The app gives you great amount of features to add your earnings, savings and expenses. You will be able to have great control and management of your finances on the app. The app is designed in a smooth and neatly organized manner, which will give you clear view of the current month’s financial status. There are interactive and informative reports that are easy to understand and can help you determine your pros and cons. You can easily email these reports or save them as PDF. One of the features we liked the most is the recurring expenses feature, which will serve as constant reminder to pay your bills. Also, you can use the app’s Built In Financial Assistant that will guide you to stay in budget and don’t over-spend. With the projected savings feature you will also get great budgeting assistance and accurately plan your finances. Don’t want anybody to see your financial data? Well, Expense Tracker 2.0 also features securing of your information with touch ID and pass-code. Regarding design, you will be able to change different themes and avatars which will give more personality to the app. The today widget is also very useful, especially with the shortcuts to add income and expenses. Additionally, with Expenses 2.0 you can backup & restore any data. 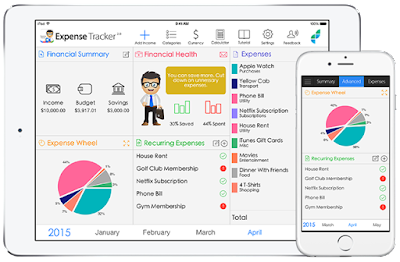 The latest update made Expense Tracker 2.0 to be integrated with the Apple Watch. The praise and critical acclaim that Expense Tracker 2.0 is getting is all deserved. It is no wonder that is getting so much positive feedback on the App Store and that it is the top finance app in many countries. This could really help you in organizing your finances and giving your financial security, control and management. Get it for free on the App Store and Google Play.